In the 50,000 years since Ryan Hunt was cremated, human history has taken several catastrophic turns. After nuclear annihilation came the volcanoes, and now there’s a plague bearing down on humanity. It’s going to take something big to save them this time. 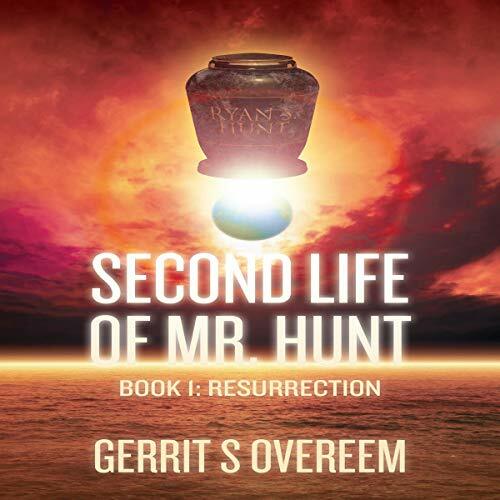 And they get it, in the form of a resurrected Hunt, who’s been given a second life. His DNA, it turns out, is the key to rescuing the species. But it won’t be as easy as simply swabbing the inside of his mouth. To survive in this new world, Hunt has to evade the kidnappers who are after him, hop from planet to planet, and even dust off his tux for a date to a ball. Even more challenging, he needs to navigate the waters with adventurous and beautiful scientist Dr. Kat Winslow, whom adventure seems to follow. With help from a friendly robot named NORA and a newfound sense of daring, Ryan Hunt is ready to take on the future - whatever it brings.